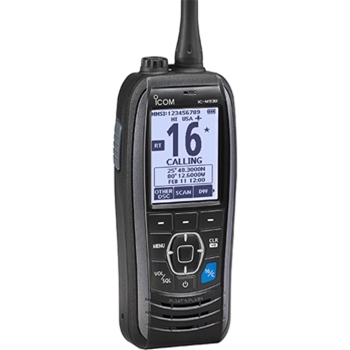 Built with the serious boater in mind, the Icom M93D floating handheld VHF with GPS offers class and ruggedness right in the palm of your hand. A powerhouse of communication and information, the M 93D will ensure your safety with an integrated GPS providing you with speed, bearing and location information right at your fingertips. The stylish new design that Icom introduces with the M 93 Floating VHF, offers a sleek new keypad ensuring every click on the device is a successful one. A large LCD display will display your selections and channels even in bright, direct sunlight. Continuing with popular features demanded by boaters everywhere, the active noise cancelling, AquaQuake, and the float’n flash functionalities are passed along to this new and improved unit. 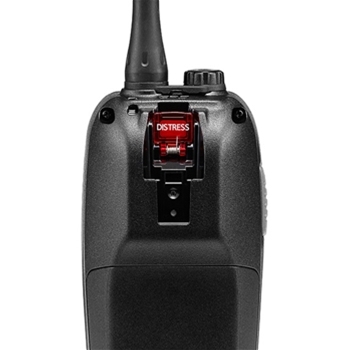 Keep in mind, this handheld VHF floats also, so if by mistake the radio falls out of your hand and goes overboard, the strobe will start to flash and the radio will float until recovered. Your M93 D integrates an internal GNSS GPS receiver that ensures a 8 to 12 second GPS fix on your location which is critical for DSC calling or navigation to specific waypoints. This internal GPS receiver also provides speed, bearing, and location to provide ultimate accuracy by using WAAS and other signals. The Icom M93 D Floating VHF with GPS is the best solution for your marine handheld communication needs. 5 Watt, Floating VHF Radio. Icom HM165 IPX7 Waterproof Rated Speaker Mic for M34/M36 and M93D. Rugged Design. Icom 7.2V Li-Ion BP-285 Battery. 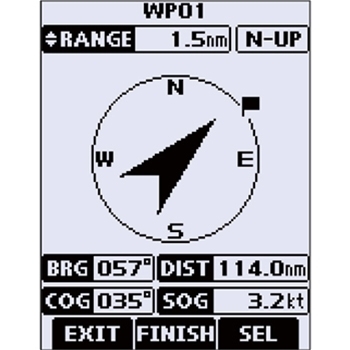 Compatible with Icom M93D Handheld VHF. Icom HM-228 IPX7 Waterproof Speaker Mic for M93D. Compact Design.